Worker loading packaged meat into HPP equipment. As demand for fresh food grows, more retailers are stocking their shelves with foods and beverages that have been high pressure processed (HPP) to help ensure food safety, food quality, and eliminate food waste, according to a new survey. A whopping 85 percent of retailers say their companies are affected by the fresh food demand, and 78 percent go so far as to say they’re favoring companies that produce fresh product options, the survey found. Demand is so high that more than 60 percent of retailers say they’re stocking more refrigerated and fresh products, while 48 percent say they’re expanding their refrigerated section. That’s good news for HPP, as a growing number of producers and retailers are more familiar with HPP than ever before ― from 60 percent in 2016’s survey to 77 percent (producers) and 74 percent (retailers) last year ― and see its benefit for eliminating pathogens, allowing cleaner food labels, enhancing taste and extending shelf life, according to the survey, commissioned by [Universal Pure, the largest provider of HPP services globally. High Pressure Processing uses cold temperatures and high pressure to improve food safety. It also helps ensure the quality, taste and texture of food products and extend their shelf life. HPP has come into its own, according to the study. Notably, 78 percent of retailers have a favorable view of HPP, and 85 percent said the method of processing used by a food producer positively affects their decision to purchase a food and beverage product. 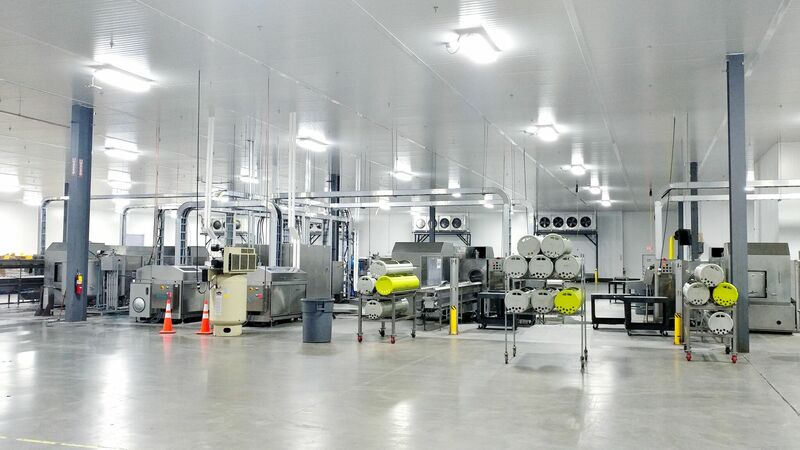 The survey measured and compared perceived advantages in food quality, food safety, and food waste with other types of pasteurization, including heat pasteurization, pulsed electric field radiation, ultraviolet radiation, and other processes. High pressure processing was favored by producers and retailers among other food processing methods on measures concerning food quality, food safety and food waste. 81 percent of producers reported their companies are using HPP at some level compared to 60 percent last year. 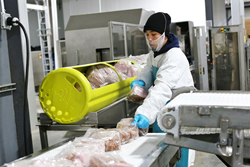 HPP was favored by producers and retailers among other food processing methods on measures concerning food quality (67 percent), food safety (59 percent) and food waste (56 percent). The biggest reason producers say they use HPP is for shelf-life extension (73 percent). That along with food safety benefits (63 percent), nutrient preservation (58 percent) and cleaner label enablement (54 percent) dwarf all other reasons. The 2016 survey found that food safety was the biggest reason. 96 percent of retailers say they are more likely to purchase a product with a longer shelf life, while 94 percent of food producers say they could expand distribution range if their products had a longer shelf life. 74 percent of retailers and 92 percent of producers say the issue of food waste is important to their companies. The online survey was conducted by a third-party and commissioned by Universal Pure, the country’s largest HPP outsourcing service provider for food and beverage producers. The survey was completed in October 2017 and included food producers (80 percent) and food retailers (20 percent). This is the second year that the survey has been commissioned by Universal Pure. Headquartered in Villa Rica, Ga., Universal Pure, LLC is focused on helping companies make and serve refrigerated foods and beverages that are fresh and delicious, and most importantly, safe. As a customer-centric service provider of high pressure processing (HPP), Universal Pure’s four U.S. locations (Villa Rica, Ga.; Lincoln, Neb. ; Malvern, Pa.; and Coppell, Texas) and 11 HPP machines in operation make it the nation’s largest third-party provider of HPP services.